A group of survivors of men and women, many of whom were sexually abused by priests in childhood, have been told that their call for an inquiry into the extent of abuse in the church of England and the Roman Catholic church will not be supported by the Church of England despite its earlier promise of support. The Stop Church Child Abuse alliance which represents church abuse survivor groups was told at a meeting this week by the Bishop of Durham, Paul Butler, that the Church of England will not support the call for an inquiry as it is concentrating on working on banking reform and “other issues”. 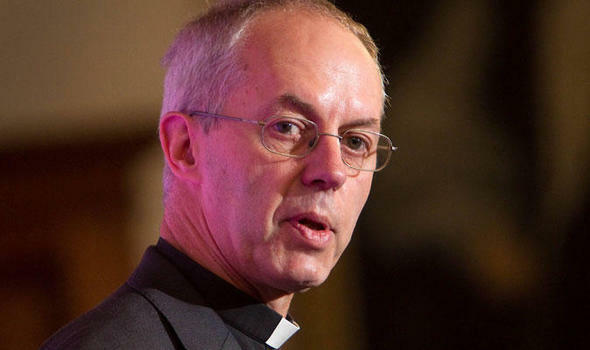 This news comes after Justin Welby had personally pledged that the church would support a call for an inquiry. The Church of England decision represents a complete U turn from the position it adopted at the general synod in July 2013 when the synod voted unanimously to apologise to victims of clergy abuse and to do everything necessary to help victims of abuse. For 20 years the leaders within the Catholic Church and the Church of England/Wales have repeatedly stated that they will respond appropriately to reports of child sexual abuse, and numerous safeguarding/child protection procedures have been put in place. Despite these assurances and procedures produced there have been repeated court cases in which clergy and church officials have been convicted of multiple child sexual offences often dating back and continuing for decades and involving a number of children. We call upon the Government to set up an Independent Commission of Inquiry into child sexual abuse perpetrated by clergy, religious and other church officials within all Dioceses and institutions of the Catholic Church in England & Wales and the Church of England and in Wales. Such an inquiry should have powers to compel the disclosure of all files of clergy, religious and other church officials containing reports and allegations of child sexual abuse. It should receive evidence, both oral and written from victims of child sexual abuse perpetrated by clergy and religious within parish communities and church institutions and also be able to compel those in positions of authority within Dioceses and religious orders to attend and give evidence. The Inquiry should investigate how cases were handled by Church and religious authorities and should cover the period from 1954 to the present day. It should establish the extent of the abuse and the mechanisms employed by church authorities to cover up, deny and/or minimise the abuse. The Inquiry should also examine the impact the abuse and the response of Church and religious authorities had on the victims. The Roman Catholic Church, the Religious Orders and Church of England and in Wales should be compelled to pay for the cost of the Inquiry.